One 14 karat yellow gold antique ring. 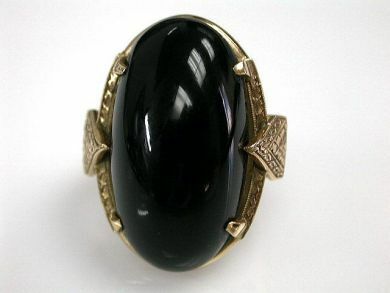 One black onyx cabochon (15.13 carats). The ring has a floral design and triangular shoulders.